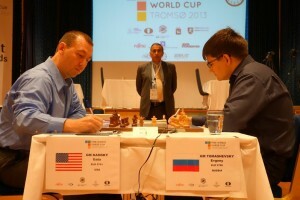 The Chess World Cup 2013 continued with the second games of round 5. Today proved to be a good day for the Russians, guaranteeing 3 out of 4 participants in the semi finals will be from Russia. 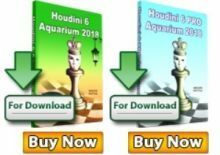 Kramnik and Tomashevsky won their matches 1,5/2 and qualified for the next round, while another compatriot will come from the Svidler – Andreikin battle that goes to tiebreak. Evgeny Tomashevsky continued surprising everyone at the World Chess Cup in Tromso. After the epic battle with Morozevich, Tomashevsky showed his energy is not depleted and put up a solid fight against Gata Kamsky. Following the draw in yesterday’s game, the Russian had the difficult task to hold with black. Kamsky was looking for attacking chances all game long, but miscalculated on moves 35 and 36, the second one being the decisive blunder. Gata kamsky played beautiful chess so far, but this heavy mistake sends him home. After winning yesterday against Korobov with white, today Kramnik needed just half a point to continue the race for the title. 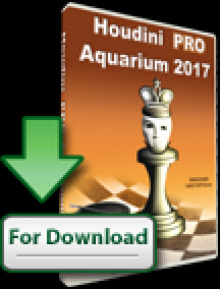 Kramnik fell into a difficult ending and never managed to show it is 100% holdable. Korobov tried hard, but 49. Kc1 and 52. Rf6 stirred the game to a draw. Caruana – Vachier-Lagrave and Svidler – Andreikin will go through the tiebreaks tomorrow, after signing second consecutive draw. 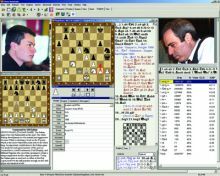 Kramnik will meet the winner of Caruana – Vachier-Lagrave, while Tomashevsky expects his opponent from Svidler – Andreikin.